Oh my goodness, I am so sorry. 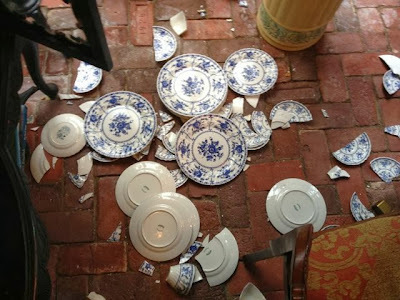 I am heartbroken for you - broken china, especially memorable pieces - oh, so tragic. I love your attitude, and I wish you well. I shall keep my peepers open in case I spy any on mu thrift outings! My heart is heavy for you - this has happened to me twice. 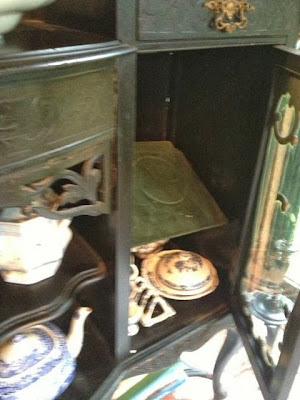 Once, my hubby felt he could "easily move" a china just an inch. Hubby has broken a few things dusting too. 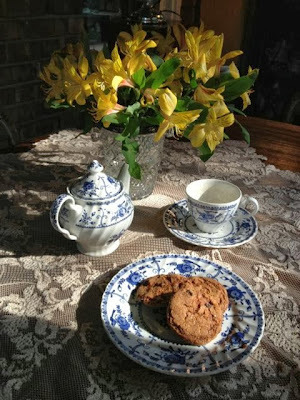 I broke my English Alice and Wonderland teapot a few years ago doing a photo shoot for my blog. Thinking of you and also sending hugs! Oh Martha, I was so sorry to read this post. I think you need to add to them, IMO. My copy of Antiques from the Garden arrived just a few moments ago. I will have a fun evening. Thanks for the recommendation! Martha, I was almost sick when I saw your beloved dishes broken on the floor. I'm so sorry. Your resilience is commendable, though! Your lovely tea setting with the survivors is beautiful! This is hearbreaking, and I'm sure could happen to anyone. I feel sad for you to have lost many of your favourite dishes but give you credit for carrying on with company dispite the disappointment. Oh no! I hope you are able to locate replacements. My heart breaks with you. I am so sorry to hear this...Anyone who loves their china would be! 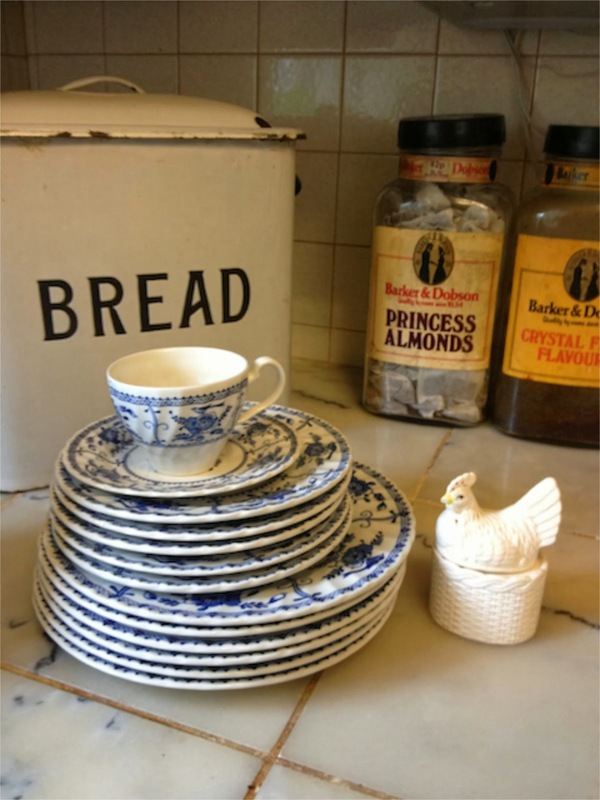 Plus I have about 10 dinner plates of that Indies pattern which we enjoy. Though nothing else from that pattern. But china can be replaced, once you decide what to do about it. I don't use mine nearly as often as you do, so there's much less chance of breakage. Still, the shelf disaster was not from usage, or I don't think it was. All will be well, and I hope, soon! OH NO!!!! Not OUR Indies Blue china!!!!!!! How terrible to see the broken pieces on the sunroom floor. So sad. The Johnson Brothers are weeping. I'll keep an eye out at my thrift shops for you. Great photos, by the way. Love the table shot. So sorry -- I do feel your pain, as I have had a similar incident. I would probably start a quest for replacing them, since they are so pretty. So sad. Sorry for the loss. They certainly went in a dramatic way!